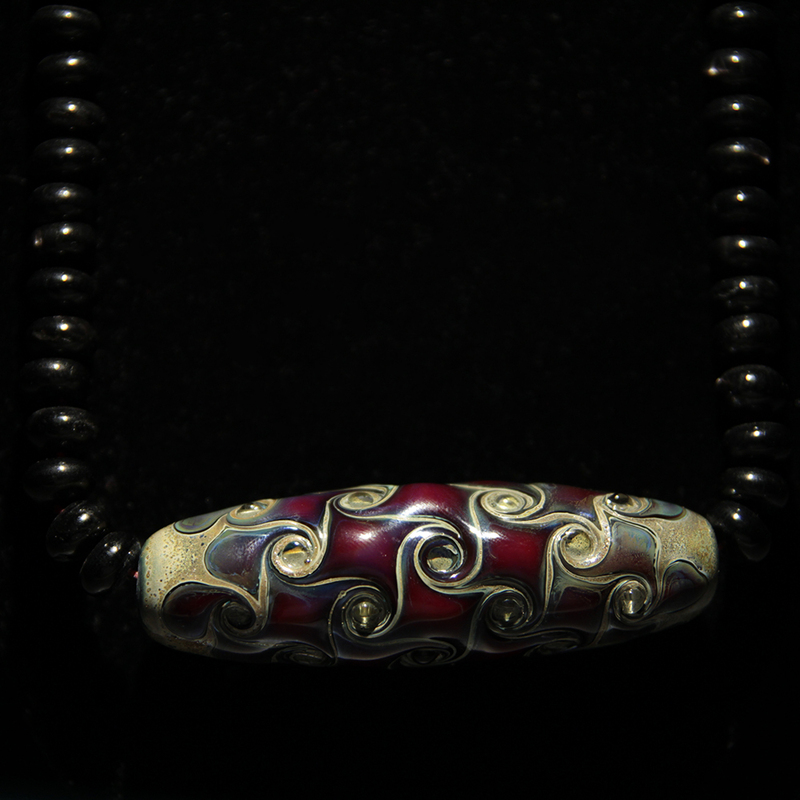 Fenice bead in red-purple and obsidian beads. 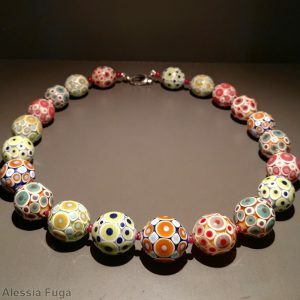 What can I say about this bead? 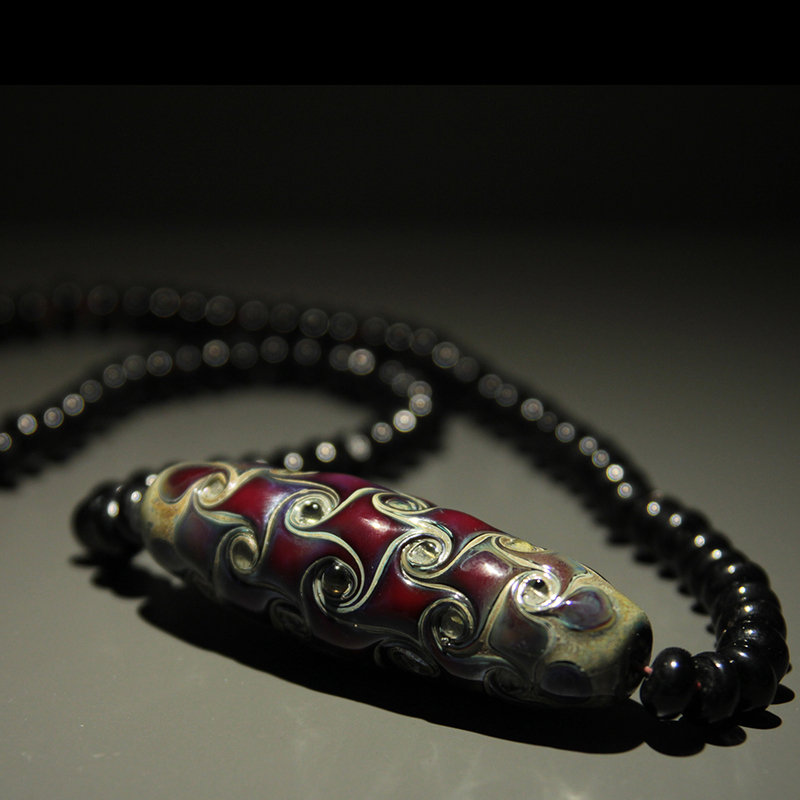 Well, I have kept for myself a bead very similar to this one and you can often spot it on my neck. That is how much I love this color and design. 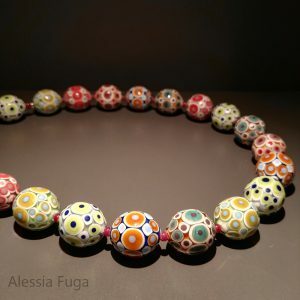 This Fenice bead, decorated with red-purple twisted dots, is 65mm in lenght and 20mm wide. The little black beads are obsidian beads. Necklace total lenght is 57cm. Etched long focal lampwork glass bead in dark topaz with fine light blue scroll work.